Imagine that you’re trying to keep a group of young children entertained for a few minutes, and get in touch with your storytelling skills. Most audiences will hang on your every word if you can tell a great story about your relationship with the groom or his relationship with his bride. This will be more interesting than strings of adjectives describing how great your best friend is. The best speeches are often a blend of true sentiment—it is a wedding, after all—and humor. If you can weave a few jokes into your stories, it will balance the mood and keep listeners on their toes. However, one very important point to remember is that making risqué jokes or jokes that only a few people will understand is not appropriate for the venue. Put your focus on gently poking fun of the groom, and avoid talking negatively about the bride or family members. 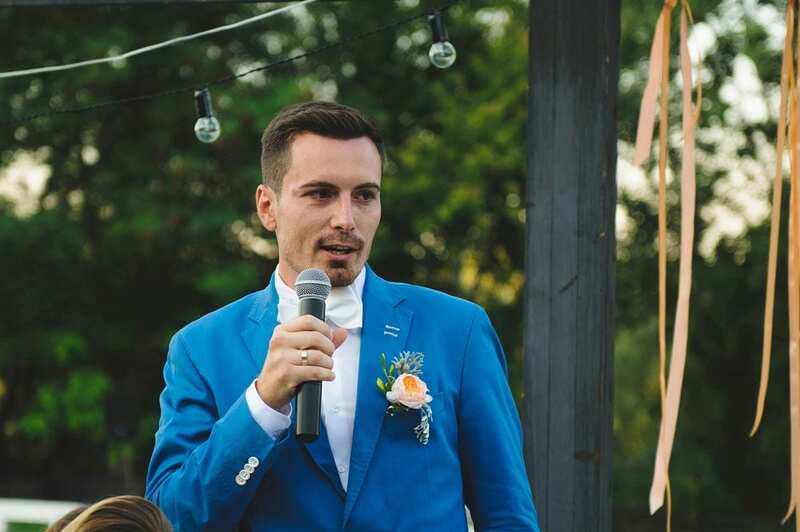 The goal of your speech is to celebrate the union of your close friend with his bride, so it’s a classy move to talk about why she’s the perfect choice. You could tell everyone how she’s made the groom a better person, or tell a story about what lengths the groom has gone to in order to show his love for the bride. Even the most engaging speakers can lose their audience when they get wrapped up in hearing themselves talk. It can be easy to ramble on into the microphone, so make sure you write a concise speech. Aim for nothing more than five minutes long. Even the best public speakers need to practice their act. After writing your speech, work on giving it to the mirror or even a stand-in audience of friends and family. Doing this will help you remember your ideas better, so you don’t have to read the entire speech, and it will give you confidence in your performance. As you take the stage in a beautiful wedding reception hall in Lowell, IN, keep in mind the tips above. 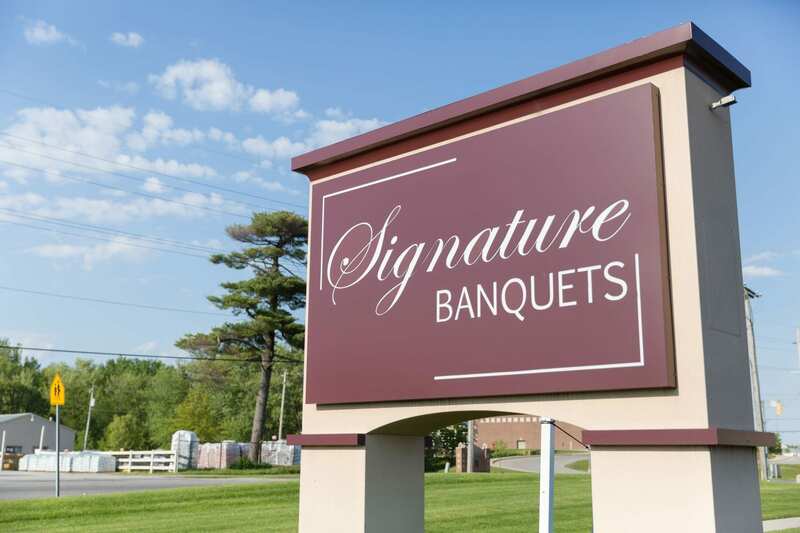 Signature Banquets offers gorgeous, well-appointed reception rooms and an amazing staff to make any wedding and reception as perfect as they can be. Since 2013, Signature Banquets has planned and hosted a variety of events in our venue, including weddings, baby showers and corporate events. We can help you plan the event of your dreams. Give us a call today to schedule a free consultation!